It began with The Colour of Magic, and I know more than a few people for whom it ended right there. But they really don’t know what they are missing. Sure, The Colour of Magic and the first few books that followed it were not much more than silly pastiches of the Dungeons and Dragons school of fantasy novels – full of ridiculous names and faintly childish jokes. But the first time Granny Weatherwax flew onto the scene, in Equal Rites, one caught a hint of something much deeper. By the time Samuel Vimes stepped out to patrol the streets of Ankh Morpork, in Guards! Guards!, it was clear that here was a writer of exceptional skill who was using his powers to make us laugh at ourselves. 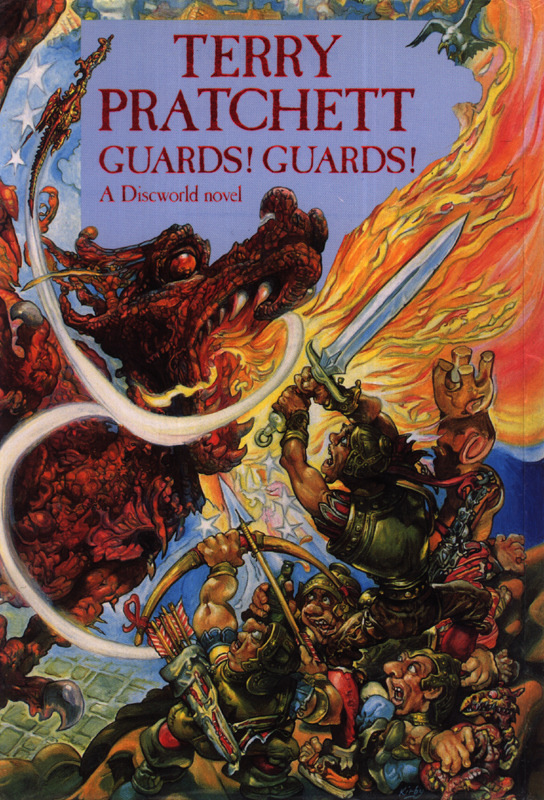 Terry Pratchett’s Discworld is an amalgam of myths and legends from across the world. One gets the feeling that his magpie mind has been collecting every fable, proverb and old wives’ tale he has ever heard and systematically deconstructing and recombining them in unexpected ways. It boggles the mind how he keeps track of it all, but you’d be hard pressed to find even small inconsistencies in the canon. Within that world, Pratchett creates characters for whom one can have a deep and lasting affection. The witch, Granny Weatherwax. Sam Vimes, Commander of the Watch. CMOT Dibbler, ‘Ankh Morpork’s most enterprisingly unsuccessful business man.’ Death. The Librarian ... 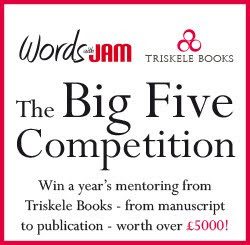 If you are a fan of the Discworld, just the mention of those names will be enough to raise a smile. Each one is a fully fleshed out character, eternally the same in their essentials, yet allowed to develop and change over time. 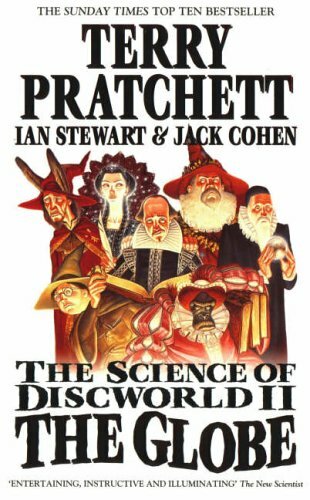 Pratchett has worked with my former maths professor, Ian Stewart, and biologist, Jack Cohen, on four Science of the Discworld books – where the puzzled wizards create a globe like ours as a laboratory experiment and try to understand the strange behaviour of a world that isn’t ruled by magic. 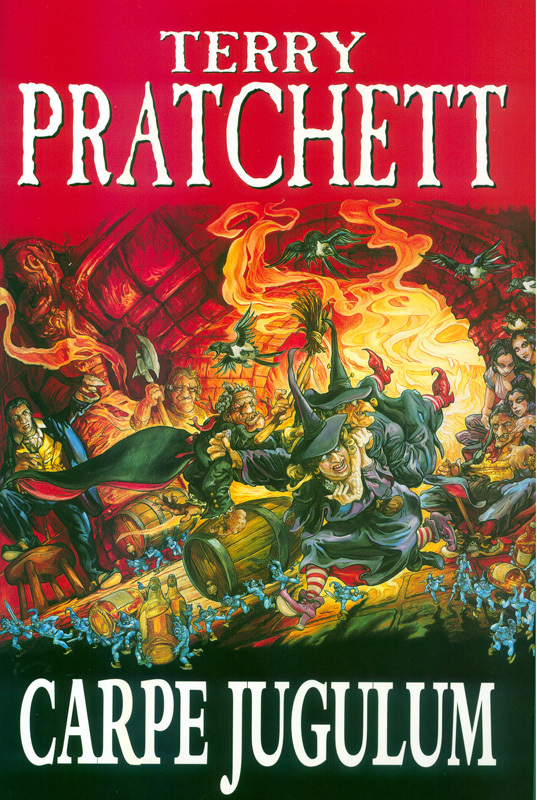 Above all, Pratchett has turned out to be a brilliant satirist – a Jonathan Swift for the 21st Century, using the Discworld to turn his sights on politicians, racists, misogynists, corporate greed and all manner of institutional stupidity. Sin, young man, is when you treat people as things. Including yourself. That's what sin is. 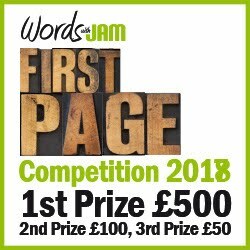 Even if you are not a fan of the Discworld, it can hardly have escaped your attention that Terry Pratchett is the victim of early onset Alzheimer’s. It is our great good fortune, as readers, that so far, this has affected the author’s sight and coordination, but not the brilliant, twisted mind that can still spin words into pure gold. 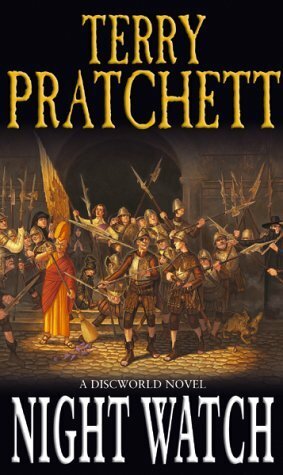 For me, the acme of Terry Pratchett’s writing is the time-travelling novel, Night Watch. A powerful magical storm throws Sam Vimes back in time, to a point before the earliest of the Discworld novels, when he himself was a young copper, still wet behind the ears. Only a handful of familiar characters are to be found, at first unrecognisably young. As with so many of Pratchett’s books, it’s full of familiar tropes. But you can be equally sure that those tropes will be subverted, turned on their head, and delivered in a way that makes them seem as if no one has ever thought of them before. Pratchett loves to play with language and there is nowhere he does it better. How’s this for a phrase describing a man who rarely listens to anyone else? Ridcully gave him the slow blank stare used by those with acute uptake-grasping deficiency. Or this for summing up the dark narrow buildings of inner city slums? You got second-hand light once the richer folk in the taller buildings had finished with it. I’ve never done an English degree or a Creative Writing MA; so I’ve never been taught the art of close reading. For a writer, I suspect I’m rather poor at analysing why one book blows me away while another leaves me cold. But I have the audiobook of Night Watch on my iPod. I have listened to it so many times that I can see how it was constructed, how each cog fits together perfectly to make the whole thing work. I swear there isn’t a single throwaway line in the whole book. Every incident, every joke is part of an intricate mechanism that shapes, not just to the denouement of this book but the whole of ‘present day’ Ankh Morpork as we have come to know it. If you are one of those unfortunates who read Colour of Magic and maybe The Light Fantastic, and then gave up on Terry Pratchett, I suggest you forget about those early books and dive in with something like Thud! or Monstrous Regiment or Going Postal. Taste the master satirist at the height of his powers and if that persuades you, explore the rest of the Discworld from there. And if that fails to persuade you, I despair. I really do. To read 'Origins of L-space', Catriona Troth’s account of Terry Pratchett’s visit this summer to Beaconsfield Library, click here.